Baan Tawai is the village of wood-carving handicrafts. It has long been known as the major cultural attraction of Chiang Mai for Thai and foreign tourists. 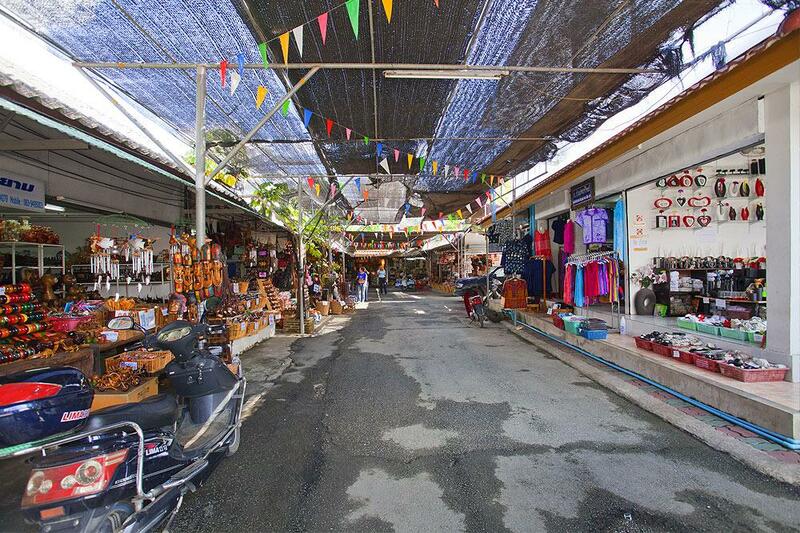 The best quality and bargain wood carving items can be found in Baan Tawai. At present, a wide variety of wood carvings and other decorative items e.g. 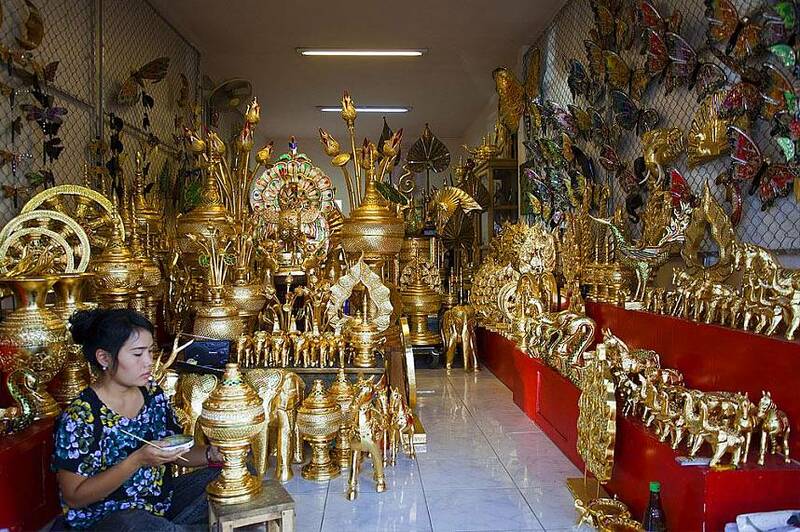 wood carving, wood-strips, gold leaf wood, wood-strips, gold leaf wood, antique wood, silverware, lacquer ware, hand-woven textile, basketry and earthenware, can be found in the Baan Tawai Handicraft Center and Baan Tawai Song Fang KlongCenter.At the end of January each year, Baan Tawai celebrates wood carving with a week-long fair. Burmese wood-craftsmen were brought to Chiang Mai to build mansions for the Thai aristocrats and local artisans learned from their artistry. Today, Thai woodcarvers pass their skill down from generation to generation to create intricate, artistic pieces in a dazzling array of styles using teak, rattan and rosewood. Just walking around northern Thailand, it’s clear that woodcarving is an important part of Thai life. It can be seen in the fretwork of traditional wooden houses and on the exquisite shutters of many temples and is the preferred medium for artisans at Baan Tawai. At this furniture production hub, visitors can examine and buy everything from traditional carved elephant statues, tableware, beds and chairs to more contemporary designs. 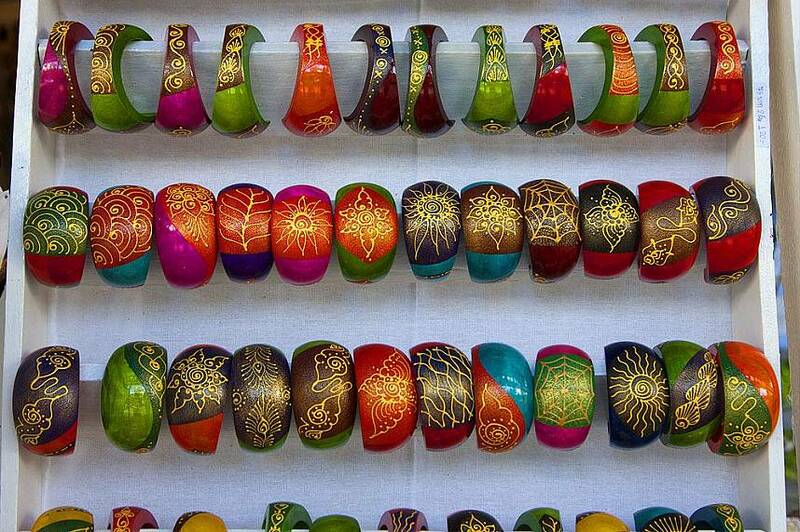 Besides the woodcarvings, Baan Tawai is home to gorgeous Thai silks, soaps and oils, vases and other ornaments. 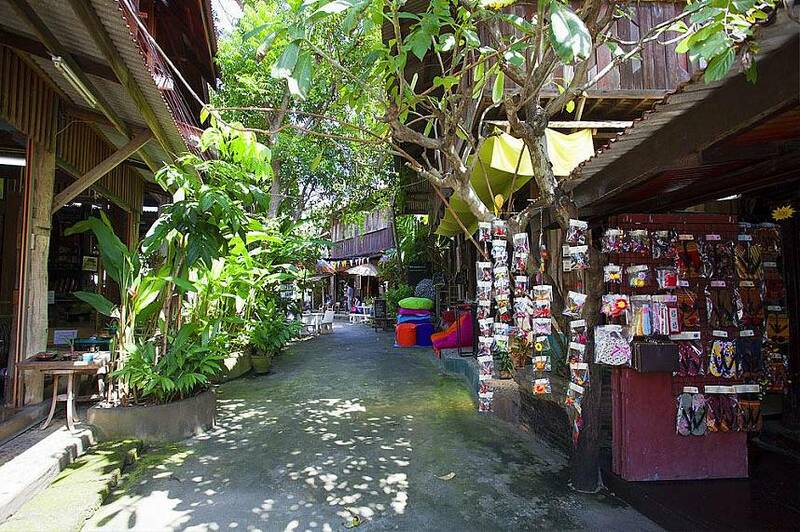 The Song Fung Klong Center is located at the heart of Baan Tawai Village. The center’s stunning Lanna architecture is set amidst a stunning landscape. 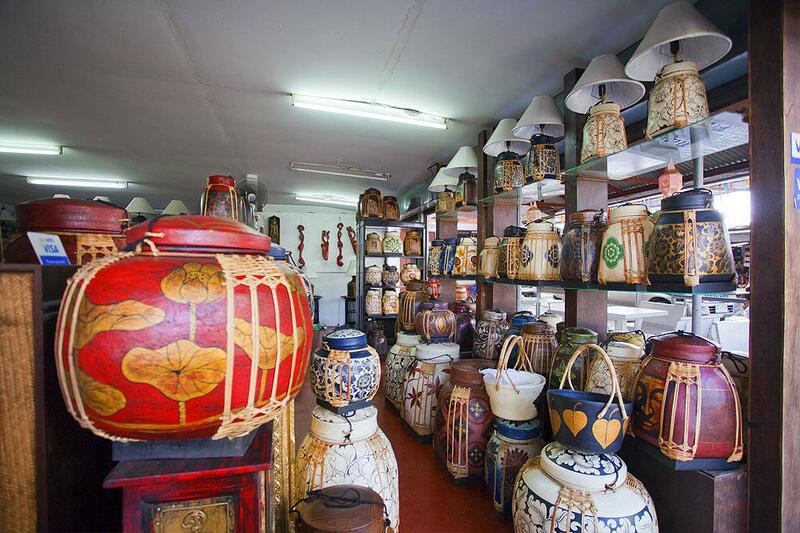 Tours are available to show how the handicrafts are made, and the place they have taken in modern society. 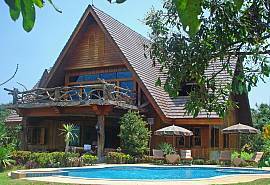 Click to browse all Chiang Mai villas for rent here.